The AIA awards its annual prizes. 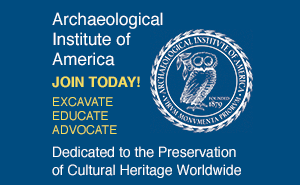 Each year at its annual meeting, the Archaeological Institute of America (AIA) presents awards for outstanding contributions to the field of archaeology. 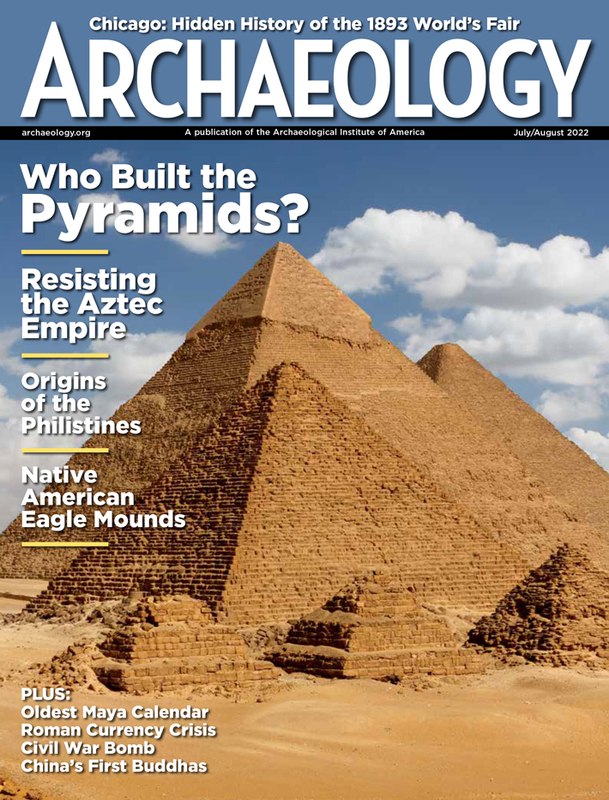 This year the Gold Medal for Distinguished Archaeological Achievement was awarded to Emmett L. Bennett, Jr., a central figure in the creation of Mycenaean studies. Bennett helped lay the groundwork for future study of Linear B writing from the Greek mainland and Crete. His editions of Linear B texts from Mycenae, Pylos, and Knossos have given linguists, archaeologists, and historians accurate copies for use in their interpretation of Mycenaean language and culture. In 1957, Bennett created, and until 1978 edited, Nestor, the monthly bibliographical newsletter of Aegean prehistory. Throughout his entire career, and now in his retirement, Bennett has supported the work of younger scholars, sharing his own unpublished work and giving thoughtful guidance. He has worked to assure a proper spirit of international cooperation in the field of Mycenaean studies. The Gold Medal could not have a more worthy recipient. The Pomerance Award for Scientific Contributions to Archaeology was presented to Curt W. Beck, the world's expert on the analysis of amber and its archaeological interpretation in the Mediterranean world, Europe, and Western Asia. His discovery that each amber source has a unique infrared spectrum has led to the analysis of about 2,000 sources of naturally occurring amber. Beck has also studied materials like tar and pitch from Mediterranean shipwrecks and has been able to determine the conditions under which many ancient tars were made. Graeme Barker, David Gilbertson, Barri Jones, and David Mattingly were the recipients of the James R. Wiseman Book Award for Farming the Desert: the UNESCO Libyan Valleys Archaeological Survey (Paris: UNESCO; Tripoli: Department of Antiquities; London: Society for Libyan Studies, 1996). This work presents the results of five seasons of fieldwork in the Tripolitanian pre-desert plateau, now almost bare of permanent settlement, but once bustling, as the remains of ancient wall systems and farmsteads attest. The Conservation and Heritage Management Award was presented to the Museum of London in recognition of its strong and consistent commitment to archaeological conservation. In particular, the museum was cited for its recent excavation of a Roman sarcophagus from Spitalfields, England, which it conducted in an exhibit gallery. By allowing the public to observe the laboratory excavation in action, the museum has raised public awareness about the importance of preserving our cultural heritage. The Martha and Artemis Joukowsky Distinguished Service Award, which recognizes volunteers who have furthered the work of the Institute and improved its effectiveness through their sustained exceptional service, was presented to Ira Haupt II. Haupt served the AIA as general trustee from 1992 to 1998, after which he was elected treasurer of the New York Society of the AIA. Throughout his many years of service, Haupt has kept a keen watch over the financial security of the organization, supporting the work of the Institute on both the national and local levels. It is a great pleasure to acknowledge and honor his contributions to the AIA. The Award for Excellence in Undergraduate Teaching was presented to Kevin Glowacki of the Department of Classical Studies at Indiana University in Bloomington, who was cited as a "passionate and committed teacher...who is experimental and open to new pedagogical ideas." Finally, the Outstanding Local Society Prize was awarded to the Winnipeg Society in recognition of its creative and effective outreach to the local community. Congratulations to all the winners of this year's awards.